This weekend we took quick trip to stay in a light house on an island in the San Francisco Bay for the night. 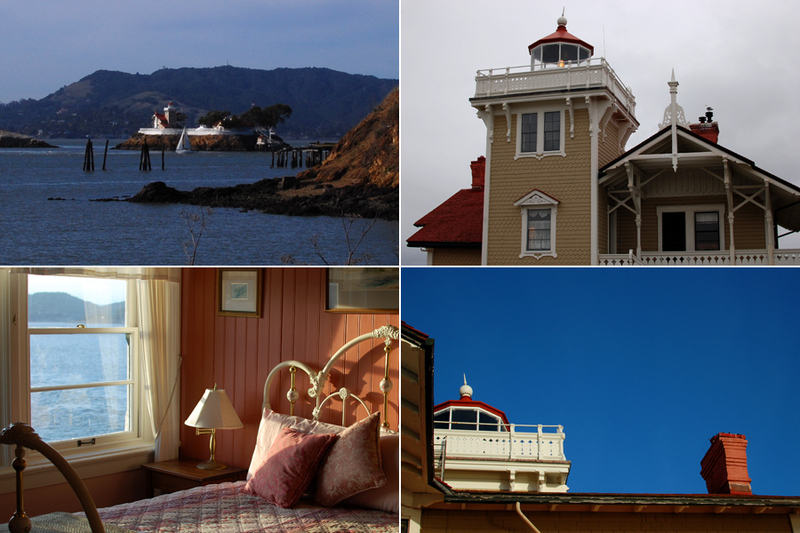 Did you know that there was a Bed & Breakfast in a historic light house on an island in the San Francisco Bay? Me neither!! That is, until Nik’s uncle gave us a gift certificate to stay there as a wedding gift. Thanks Uncle Gary!!! Staying at East Brother Light Station is perfectly choreographed. We met our fellow castaways on the dock at precisely 4 o’clock for a ten minute boat ride to the island. Hors d’oeuvres were served along with champagne in the parlor at half past 5. The dinner bell rang at half past 6, and coffee was served with dessert at 9 o’clock. In the morning, coffee and tea were available at 7 o’clock and breakfast served at 9. A brief tour of the original fog signal building was given at 10, the earth-shaking horn was blown at a quarter after, and the boat back to the main land departed at 11 o’clock. In between the milestones, we were free to wander around the half acre island, climb the spiral staircase to the light signal, browse the books in the parlor, or stare out to sea. During our nineteen hours on the island, we ate for five, slept for eight, read for two, took photos for two, and stared out to sea for three which meant that despite the lack of activity, there was no time to be bored. When it’s all said and done, we made the entire trip in less than 24 hours. The price tag on the room is more than we would typically pay willingly, but when you consider the hors d’oeuvres and champagne, a four course dinner including wine that rivals any we’ve had in the city, and a huge breakfast….it’s not so bad. On a side note, East Brother is conducting an inn keeper search right now and before we went, Nik and I wondered if we could do it. 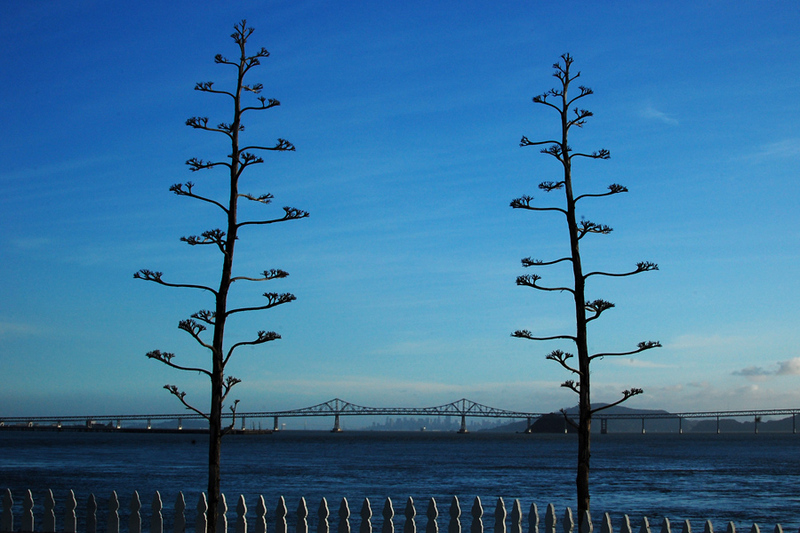 We don’t meet two of the critical qualifications….neither of us is a chef or has a coast guard approved boating license….but after staying on the island, we decided that we couldn’t do it anyways. Every day would be a little bit like ground hogs day, and I don’t think we would be as good at hosting ten people every day as the current inn keepers were to us. I still think we would be great inn keepers, just not at this inn!! Nik has more photos on his blog.